September 29, 2011 by Brittany V.
Call them what you’d like – age spots, brown spots, sun spots, hyperpigmentation – we call can agree they’re a frustrating and annoying skin issue. And, since summer just ended, you may be noticing new brown spots you accumulated from too much fun in the sun. So, what can you do about it? Did you know that even with a good daily sunscreen, the heat from the sun triggers inflammation, and inflammation sets off a response to increase melanin activity? 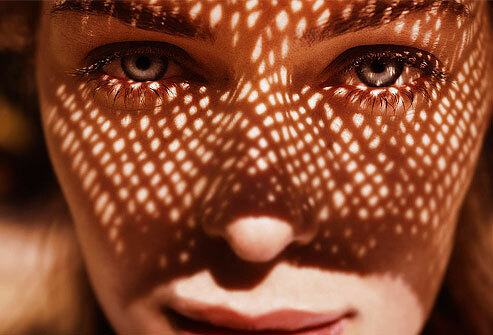 With the proper home care and in-spa professional treatments, brown spots and freckles will definitely get lighter. Unfortunately, in the heat, brown spots can be made worse, even if you are wearing sunscreen, sunglasses, hat and sitting under an umbrella in the heat. Exfoliate: Break up and remove pigmented cells bi weekly with a chemical exfoliant like our Reveal 10 and a scrub like our Exfoliating Cleanser. Use a skin lightener: Fade and suppress the melanin cells using a specialized cream like our all-natural Fade Cream that uses a dynamic combination of alpha hydroxy acids to gently lighten spots. Wear a moisturizer with sunscreen 365 days a year, rain or shine, inside or out – like our Day 25 Cream. And remember, be patient – your spots are not going to disappear overnight. Typically, the longer the pigmentation is there, the longer it will take to fade.